Be inspired by this amazing calendar that celebrates the power of women! 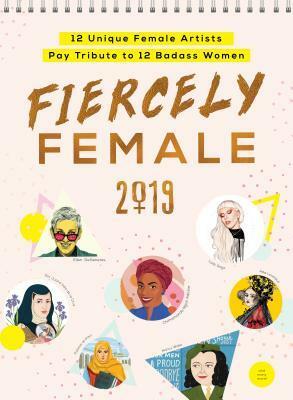 With stunning original artwork of some of the world's most iconic and celebrated fierce women illustrated by twelve female artists, this 2019 calendar showcases the badass women you've always admired and will remind you why women are FIERCE! Perforated pages allow you to tear off artwork and keep for years to come!